Chilton County’s medical offices and state-of-the-art hospital mean residents can have many of their medical needs taken care of without leaving the county. 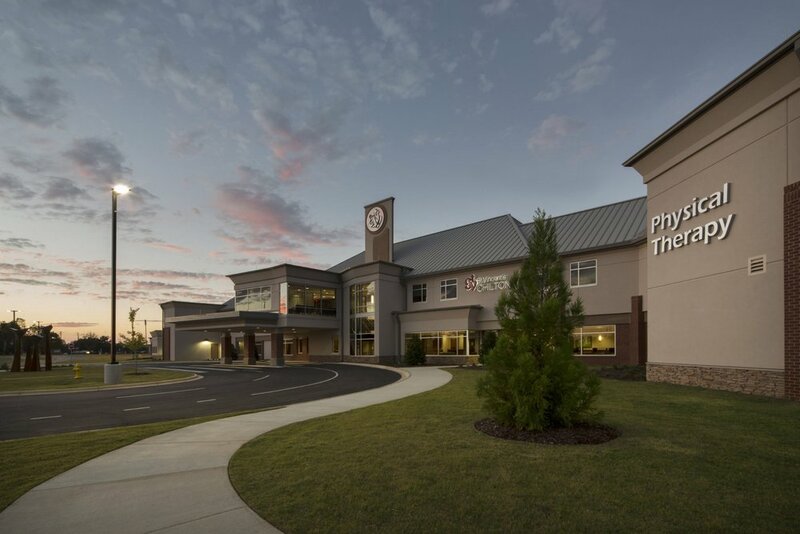 Clanton, Jemison and Maplesville each have primary care physicians. Opticians, chiropractors and other specialists can be found in Clanton and Jemison. Several specialists rent office space at St. Vincent's Chilton’s outpatient area, the hospital built in Clanton in 2016, including those in cardiology, gastroenterology, general surgery, nephrology, obstetrics/gynecology, ophthalmology, orthopedics, podiatry, pulmonology and medical oncology/hematology. The hospital also features a 24/7 Emergency Department, advanced imaging and diagnostic services, stress testing, pulmonary function testing, inpatient and intensive care services and laboratory services. Technological advances through telemedicine have helped St. Vincent's Chilton provide a higher level of care for local stroke victims. "St. Vincent’s Chilton now has telestroke capabilities in the Emergency Department that allows for real-time neurology consults for patients who are potentially suffering a stroke and further allows Emergency Department physicians’ clinical consultation resources to administer tPA (tissue plasminogen activator)," hospital administrator Suzannah Campbell said. "This means patients need not travel all the way to Birmingham for stroke care when time is critical. In the coming months, we hope to expand our telehealth capabilities to encompass even more consulting services." Urgent care facilities are also available in Clanton. A number of elder care services, including nursing home, assisted living and home health services, are also located in the county.